Update: Please meet me at the gallery located at 643 N Ventura Avenue at 12pm. The gallery will be open this Friday for us from noon to 2pm. See you there. 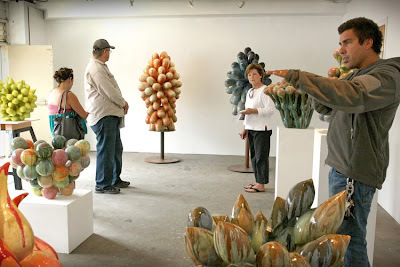 Glaze Theory class on TR 8:30-10:20am is still open for enrollment. Come join me for a fun and adventurous semester! After an amazing summer I'm ready to start my new job as a full-time faculty member at Ventura College. I teach four classes this semester - two multi-levels ceramic classes, one glaze calculation class, and one sculpture class. I created this blog to allow my students to see each others' work process, share their ideas, give comments and post announcements for projects, field trips and gallery shows.